Why Do People Use Forsythia? Orally - The oral preparations of Forsythia suspense (Forsythia), like forsythia powder, are used for a number of reasons, some of them are for the cure of tonsillitis, pharyngitis, heart disease, vomiting issues, gonorrhea, HIV/AIDS, bronchiolitis, fever, inflammation and erysipelas. Parenterally With combination of different herbs, forsythia is effective for the treatment of bronchiolitis. Likely Safe - For short term use in injection form, Forsythia suspense is considered safe. An intravenous preparation that includes honeysuckle, forsythia and Baikal skullcap has been utilized with evident safety in infants for up to seven days. However, safety of forsythia for long term and oral consumption is still largely unknown. For Breastfeeding and Pregnant Women - Forsythia should be avoided in both conditions because there is lack of authentic and reliable information available in this regard. There is insufficient and unauthentic information available regarding effectiveness of forsythia for Bronchiolitis. According to recent clinical experiments, it is suggested that combination of Baikal skullcap, honeysuckle and forsythia when given intravenously may lessen period of bronchiolitis symptoms in infants with respiratory syncytial virus infection. However, to rate safety of forsythia powder more confirmations are required. The most effective parts of Forsythia suspense are the aerial parts. Forsythia contains lignans, rutin, flavonoids, oleanolic acid, triterpenes and other compounds as well. Initial studies recommend that forsythia constituents may have analgesic and anti-inflammatory impacts. Extract of forsythia may exert anti-inflammatory effects by hindering human leukocyte elastase and 5-lipoxygenase. Other clinical researches also propose that it may repress the tumor necrosis factor (TNF) of mast cells. It also appears to hinder leukotriene B4, which recommends it may be beneficial for skin treatment, for example, psoriasis. Other clinical studies also suggest that extract of forsythia represses itching incited by substance P without producing sedation. Substance P is enhanced in patients with skin issue, for example, atopic psoriasis and dermatitis issues. Forsythia suspense contains tannic acid that seems to have anti-inflammatory and antitumor properties. Triterpene constituents might have effective anti-inflammatory activity. Initial experiments also propose that forsythia may restrain the production of platelet activating factor. It has also been recommended that forsythia has effects against the respiratory syncytial virus (RSV).It is also reported that this herb may also have antibacterial effects. Some studies propose that it may fortify bile flow and lessen fever in human being. What Are The Side Effects /Adverse Reactions of Forsythia? No side effects have been reported due to consumption of forsythia powder. How Forsythia Interacts With Other Herbs and Supplements? Antiplatelet / Anticoagulant Supplements and Herbs - Unattended use of different supplements and herbs that may repress the aggregation of platelets may theoretically enhance the potential bleeding risks in some individuals. Few of these herbs are ginger, danshen, clove, Panax ginseng, angelica, ginkgo and other herbs as well. How Forsythia Interacts With Drugs? 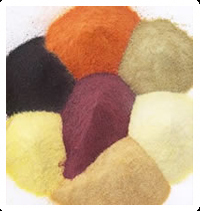 Antiplatelet / Anticoagulant Drugs - Interaction rating between forsythia powder and Antiplatelet / Anticoagulant drugs is moderate so be careful of this mixture. Oral intake of forsythia with combination of antiplatelet and anticoagulant drugs may enhance the potential bleeding risks because of decrease in platelet aggregation. Platelet aggregation may decrease due to the decrease of platelet activating factor. Some of these drugs include clopidogrel, aspirin, dalteparin (Fragmin), ticlopidine (Ticlid), enoxaparin (Lovenox), warfarin (Coumadin), heparin and other drugs as well. How Forsythia Interacts With Foods? There is insufficient information regarding interaction between forsythia powder and different food items. How Forsythia Interacts With Lab Tests? Surgery - Forsythia powder may have antiplatelet impact. If forsythia is utilized perioperatively, it may be responsible for increased bleeding in some cases. So patients are advised to stop using forsythia at least two weeks before suggested surgical activities. How Forsythia Interacts With Diseases and Conditions? There is no known interaction between Forsythia suspense and diseases or conditions. What Should Be the Dose/Administration of Forsythia? There is no typical dosage of forsythia.